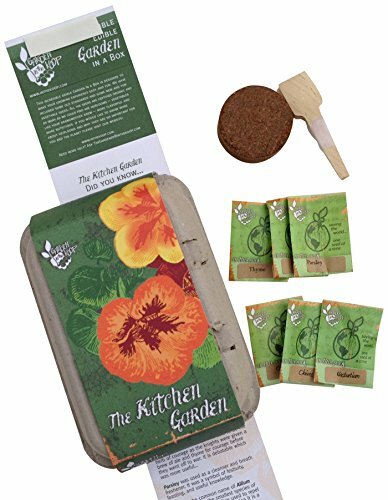 As the days of summer begin to wind down and the kids go back to school, it’s time to start thinking about fall planting. If you’ve been thinking about planting bulbs that will bloom into beautiful flowers next spring, now is the time to start making some decisions about which plants to add. For those interested in a less traditional garden, such as a Gothic garden, there are several black flowers that are grown from bulbs that would make a perfect addition to next year’s garden. 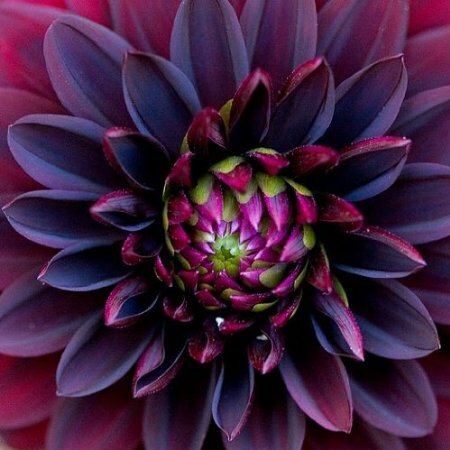 Here we take a look at some black flowers that grow from bulbs that can be planted this fall for spring blooming. 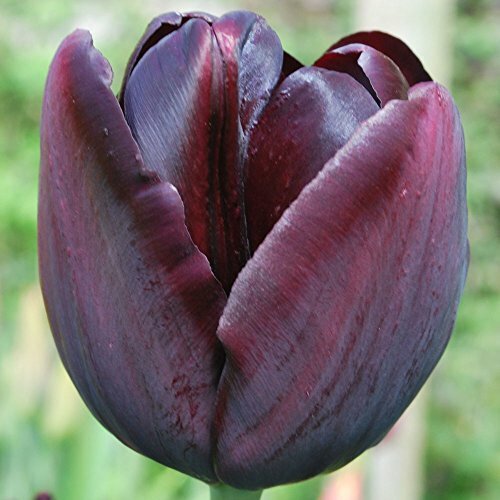 The Queen of the Night Tulip is a flower that is such a deep maroon color that it appears to be almost a true black in color. The bulbs for these flowers should be planted in the late fall season before the ground freezes for blooming in late spring. When planting, place bulb in the ground with the nose of the bulb in an upward position. 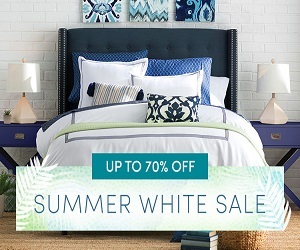 Plant in a location with well drained soil that receives several hours of sunlight each day. 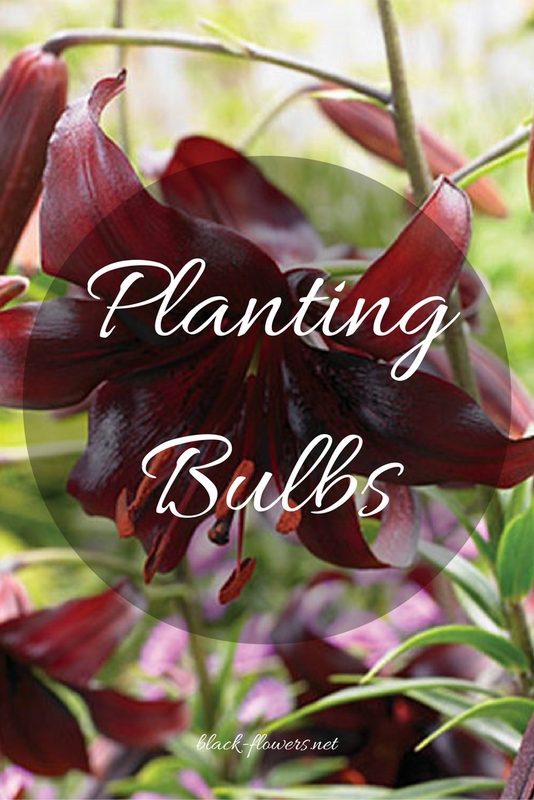 Place bulbs about four inches apart when planting to avoid crowding. The Queen of the Night Tulip is one of the darkest black flowers available and is perfect for use in beds, borders, containers, or as cut flowers. A couple of other tulip varieties that would also fall under the category of black flowers can also be planted in the fall for spring blooming. 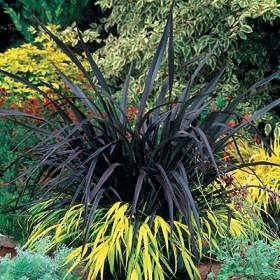 Plant when the ground cools from summer, and around six weeks before your area generally experiences frost. Plant both varieties of tulip bulbs with the pointy ends facing up. The Continental Tulip features petals that are a deep purple color, that appear almost black in the shade. Works well with the Queen of the Night Tulip in flower bed plantings. Prefers locations with full sun or part sun. The Jackpot Tulip (also called Triumph in Burgundy) also fits in with these dark colored tulips, featuring dark burgundy petals accented with a cream color. The Jackpot Tulip Prefers full sun and blooms in mid to late spring. 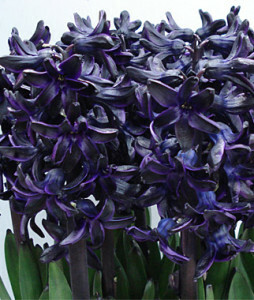 This deep purple hyacinth is so dark that it appears black with a deep purple color on the edges of the petals. This is a highly fragrant spring blooming bulb that adds a sweet scent, beauty, and color to your garden during the months of April and May. While there are no truly black flowers found in nature, this one comes fairly close. The lovely eight to twelve inch tall flower spikes work well in beds, borders, and can last up to two weeks as a cut flower. Bulbs should be planted from the months of September through November, preferably before the ground hardens. 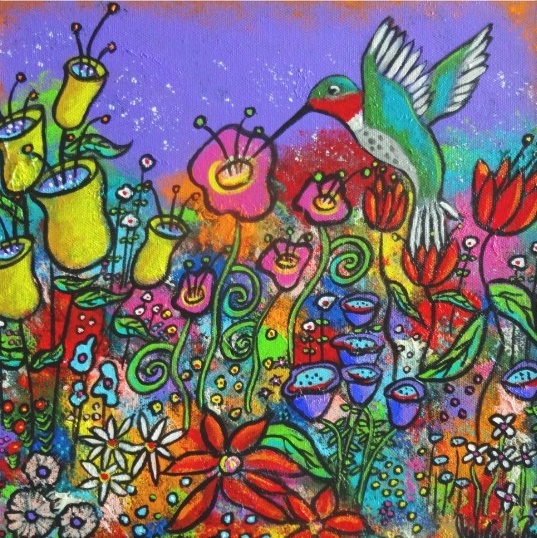 Plant bulbs 20 centimeters deep and about 15 centimeters apart. 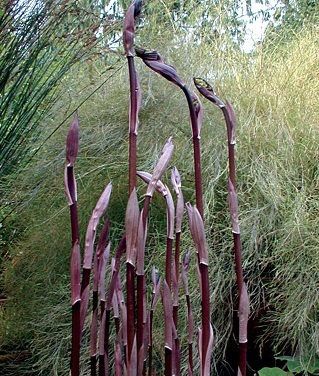 Plant in an area that receives full sun or partial shade, and allow a little drying between waterings to avoid the rotting of the bulb. A little bulb food can be given as blooms begin to appear. 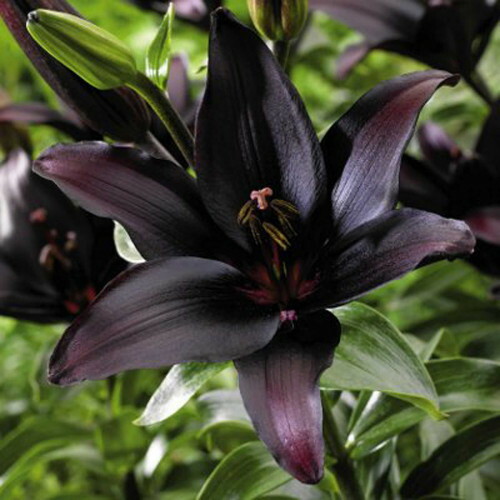 The Black Wizard Lily is a very rare lily bulb that has shimmering petals in the deepest black-red tones. 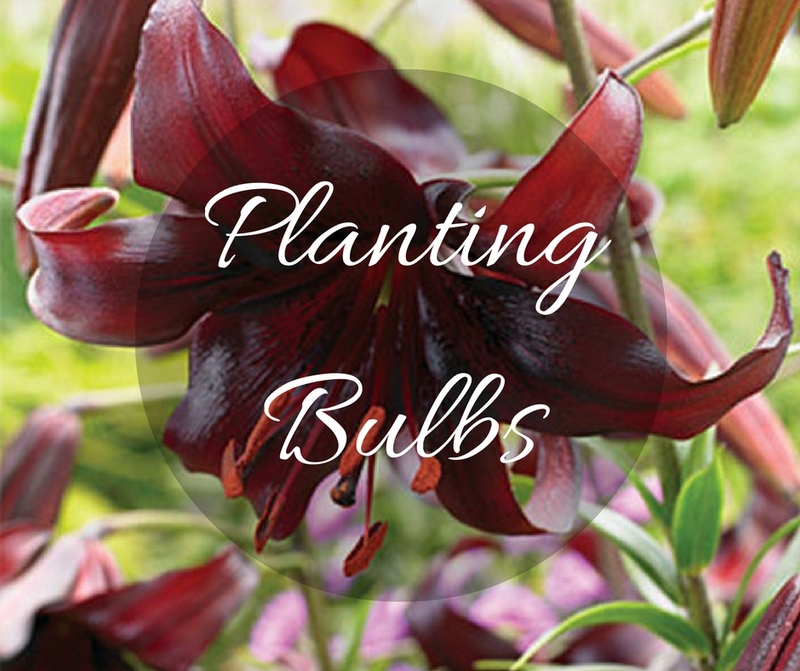 Plant bulbs in the fall for summer blooming. Bulbs may also be planted in the spring. Choose a location where the root area receives plenty of shade, while the heads of the plants receive sunlight. Planting along a house or building works well. Soil should be prepared with organic matter, such as manure or compost before bulbs are planted. Lilies prefer neutral to acidic soil conditions and require regular feeding and watering throughout the growing season. 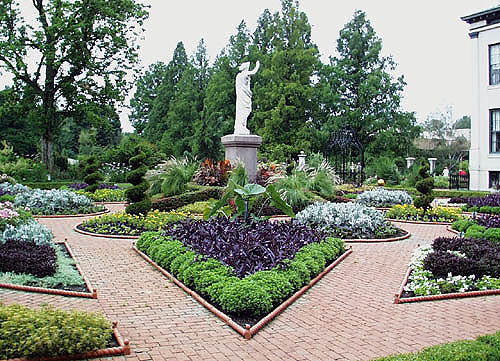 When planting, place bulbs eight inches apart from each other to avoid overcrowding. This is one of the rarest black flowers from bulbs that you can have in your garden. Perfect addition to any Gothic garden theme. 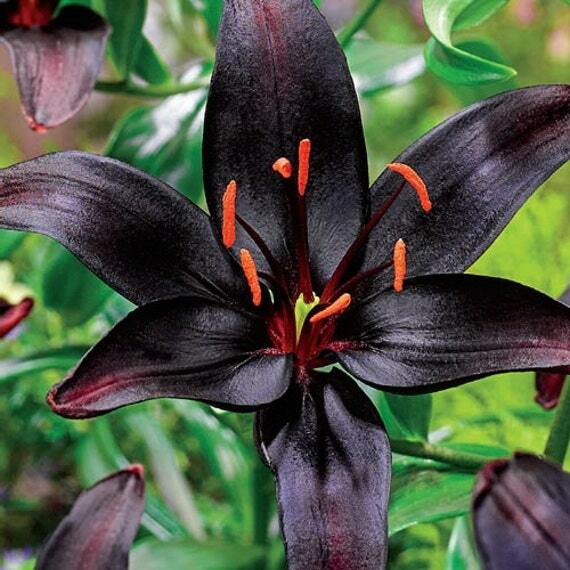 Due to the fact this bulb may be hard to acquire, the Tiger Lily “Night Flyer” is also a good choice in the black flowers category and is more readily available. It is a deep red, almost black color. 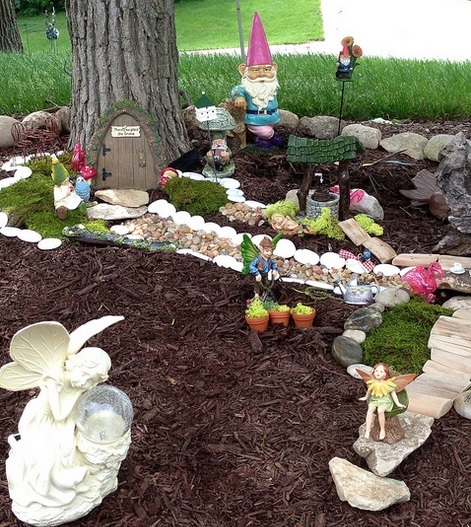 Having a plan in mind for next year’s garden will get you off to a good start in the spring.